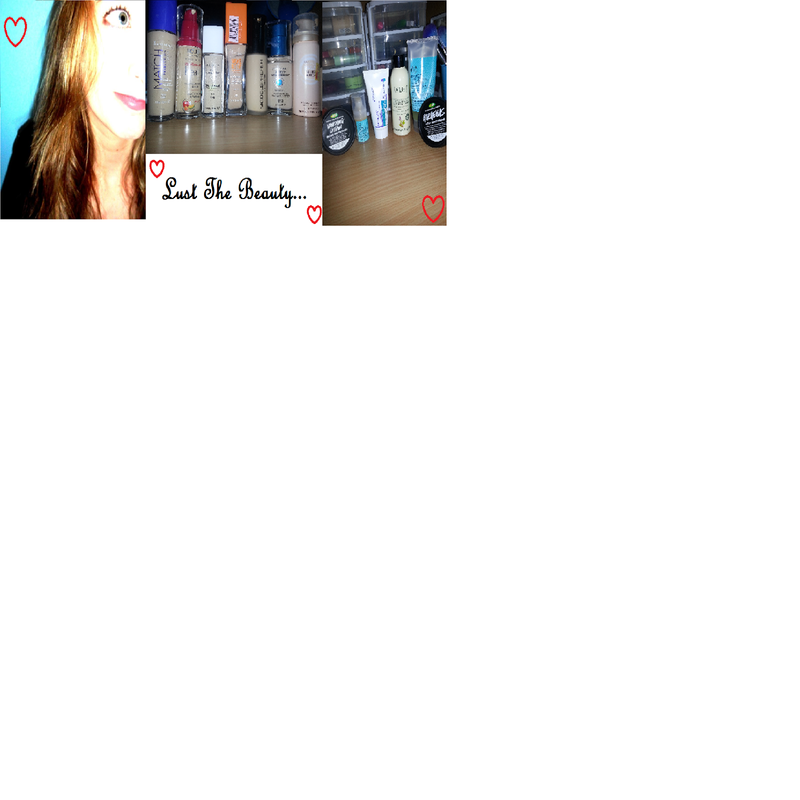 Lust The Beauty: November Favourites! I've recently added a few - what I regard as - luxury items to my collection lately, and I've been very impressed so far! After having a nice chat and my brows done (courtesy of the November Lust Have It! 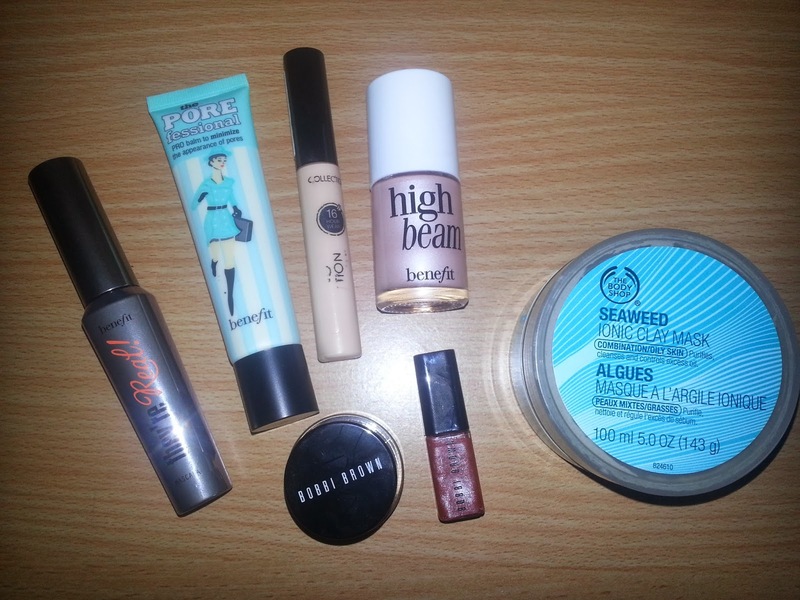 box) at the Benefit counter in Chadstone, I ended up leaving with a tin that had the Porefessional Primer, High Beam highlighter, a lip gloss and a They're Real mascara. The Porefessional is $53 on its own, and so you'd hope that it does what it says. I'm not exactly sure how much is supposed to be used, but I only use a tiny amount. I have larger pores around my nose and my forehead, and I've noticed a great difference when I use this. It just seems to mattify and fill all those pesky divots and make your skin look so much more flawless. As for the mascara, it is fantastic! I've been loving the Covergirl Clump Crusher, but since getting this, I've been hooked. The only downfall is that I find it takes a lot of effort to get off, so it's best to use an eye makeup remover. The High Beam Highlighter is lovely too. Only a tiny bit is needed, and just blended in on the cheek bones gives a perfectly dewy, glowy look. A product I've had for a while is the Collection Lasting Perfection Concealer. I have in the shade "Fair", and it's the best concealer I've ever used. I have constant redness on my lower cheek area, and this covers it perfectly. Not new, but I can't not mention this little beauty. Everyone needs one of these! A new product next. Mecca Maxima has just opened up at Southland Shopping Centre, and I was straight there to spend my $65 dollars to get a free gift (woo!). To get to $65 I bought a Soap & Glory Clean, Girls body wash, a mini Bare Minerals finishing veil, and this Bobbi Brown Long Wear Gel Eyeliner in Sepia Ink - a nice dark brown. Since using this, I've begun to wonder how I ever stuck to pencils. They can be so harsh! It is beautiful and subtle and really easy to use. Perfect! Definitely worth $35! Part of the free gift from Mecca Maxima was a Bobbi Brown mini lip gloss in a lovely nudey berry colour. It is a little bit sticky, but it lasts really well, and is a great travel/pocket sized one for on the go! Next is a bit of a pamper product and a gift from my boyfriend. The Body Shop's Seaweed Ionic Clay Mask. It smells fairly potently like their Seaweed face wash, which isn't bad - fresh, bittersweet....clean? Anyway, it is a great mask. It it cooling and relaxing. It contains a small amount of exfoliating bead things so that when you wash it off, you are also exfoliating. All in all, this mask is best for oily/combination skin, and is probably not a good option for sensitive skin types. I would recommend a good moisturiser for afterwards, too. I'm thinking a Haul post? What do you think? Let me know your favourites for the month! I love looking up and trying new things! Have a great week! Christmas is approaching!! AAHHH!